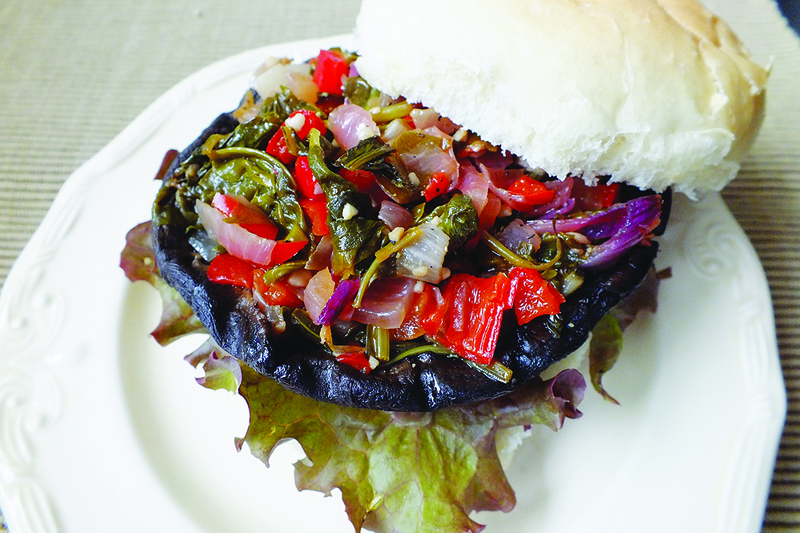 The meatiness of these grilled Portobello mushrooms will make even non-vegans forget about traditional burgers. The coconut aminos add a flavor similar to tamari, but without the soy. Heat a large skillet over medium heat and sauté the onion, red pepper and spinach until pepper begins to soften, about 5 minutes. Add the garlic, coconut aminos and the balsamic vinegar. Cook, stirring often, until most of the liquid has dissipated. Set aside. Brush the mushrooms with the remaining olive oil and grill over medium heat, stem side down for 5 to 6 minutes. Remove from grill and divide the onion mixture evenly among the mushrooms, stuffing the stem side that was just grilled. Return to grill stem side up, sprinkle with salt and pepper to taste, close cover, and grill another 5 to 6 minutes.